CEC offers extensive grooming services to boarders, including braiding for dressage, hunters, and buttons; clipping, hoof picking, baths, and tacking. Call two-hours ahead and let CEC staff tack your horse so you can hop on straight away! Tacking and untacking your horse is $25.00 per request. Get your horse ready for showing or the hunt with braiding for $75.00, unbraiding for $10.00, and mane pulling for $15.00. 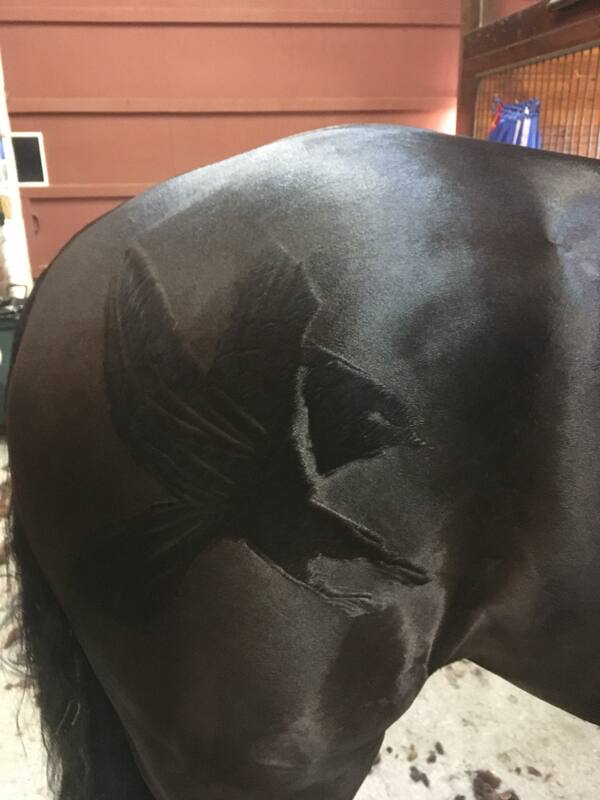 Clipping services include full body clipping for $150.00, decorative clipping for $180.00, trace clipping for $90.00, and trimming horses ears, legs, and muzzle for $25.00. Full bathing services are offered with Orvis shampoo for $15.00 and hoof picking is $10.00/day or daily for $75.00/month. Other services include laundering blankets for $10.00 per load. CEC can ship your horse to anywhere you need to go at $1.25/mile after 25 miles and at a flat rate of $75.00 under 25 miles. Additional blanket changes not included in the boarding fees are $15.00 per request.